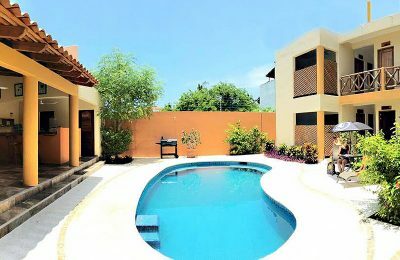 Buenissimas olas por toda la costa Mejicana aunque los spots mas famosos son Puerto escondido y Barra de la Cruz. Nos especializamos en vacaciones de surf y surfcamps para Adultos en Mejico. Ofrecemos viajes de surf y Kitesurf, campamentos de surf y Kitesurf, guias de surf, surf tours, y escuelas de surf y Kitesurf en Mejico. Hay cursos de surf para principiantes or cursos de surf para intermedios y avanzados. Podeis escojer el tipo de alojamiento que preferais. 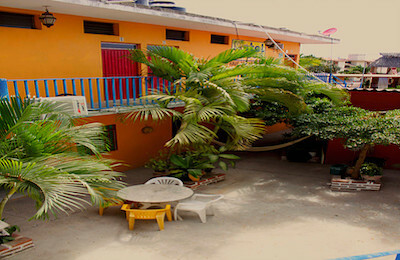 Puede ser un Hotel, Surf Resort, Hostal, Surfhouse, Surf Lodge, o habitaciones. Tenemos paquetes de surf para todas las edades, niveles y pesupuestos. Salina Cruz Surf House - Oaxaca, Port City Valoracion media: ☆☆☆☆☆ 0 basadas en 0 Criticas. Salina Cruz Surf House is a family business providing full service all inclusive epic surf tours in Salina Cruz, Mainland Mexico. 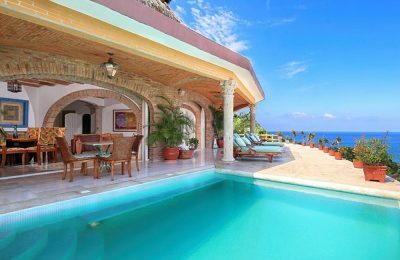 The house sits on top of a hill overlooking the Pacific Ocean, the Port of Salina Cruz and three of the major point breaks. 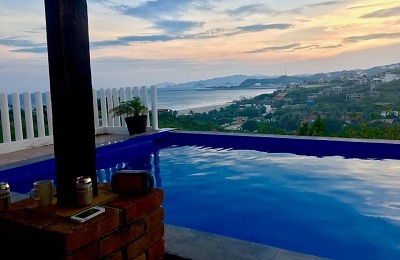 The house has quick access to a barreling beach break right out front, an ocean view infinity pool, patio with hammocks and shade along with a sauna called a “Temascal”. High internet is provided along with an X-box 360. Our activities are surfing, surf explore, visit the ruins and nightlife tours. Playa Sayulita Surf Camp - Sayulita, Nayarit Valoracion media: ☆☆☆☆☆ 0 basadas en 0 Criticas. Punta Mita Surf Camp - Banderas Bay, Nayarit Valoracion media: ☆☆☆☆☆ 0 basadas en 0 Criticas. Punta de Mita Surf Hotel - Puerto Vallarta, Nayarit Valoracion media: ☆☆☆☆☆ 0 basadas en 0 Criticas. The coolest surf trip combo packages in Mexico! For experts or beginners. We offer heaps of services at low prices. For experts surfers: 2 BOAT-TRIPS A DAY + HOTEL + FOOD + RENTAL + PARTY + MORE! For beginners: SURF CLASSES + HOTEL + TRANSPORT + FOOD + PARTY + MORE ! Playa Azul Surf Hotel - Salina Cruz, Oaxaca Valoracion media: ★★★★★ 5 basadas en 2 Criticas. The Hotel is 20 minutes from the most famous surfing beaches. 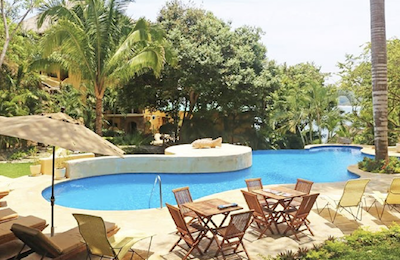 This comfortable, modern hotel also boasts free daily breakfast and free local shuttle service. Each room here is totally air-conditioned and includes a cable TV, a desk and a private bathroom with a shower and toilet. Puerto Escondido Surf School - Puerto Escondido, Oaxaca Valoracion media: ★★★★★ 5 basadas en 4 Criticas. All students booking a 1 week all-included package or more, we’ll benefit from free of cost : Fitness for Surfing enjoyable sessions, Spanish Culture excursions and personalized advanced surfing coach training and photo and video review to improve more technical skills required for advanced surfers. NEW - Special summer surf trip to Barra de la Cruz! 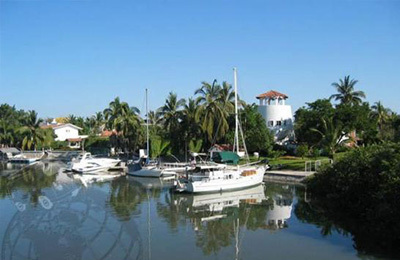 PUERTO VALLARTA Surf Charter - Nayarit, Punta Mita Valoracion media: ☆☆☆☆☆ 0 basadas en 0 Criticas. 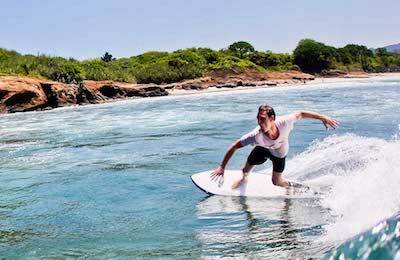 Surfing Banderas Bay - Punta de Mita One of the most consistent and best kept secret surf destinations in the world.